Q: What iconic local seasonal initiative is celebrating its 10th year this fall? 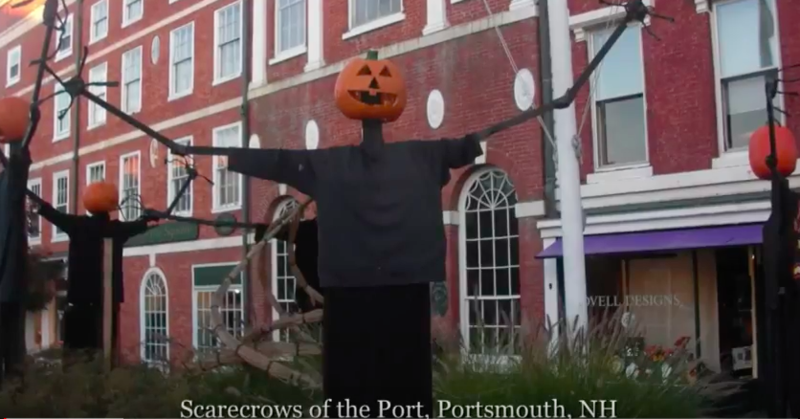 A: Scarecrows of the Port! This fall initiative is celebrating 10 years this year, 2017. Organized by volunteers in partnership with the City of Portsmouth, this group builds scarecrows, dresses them in donated clothing, and puts them up all over the downtown area. They give the city a spooky yet friendly feel and get everyone in the mood for the Halloween Parade! SCARECROWS OF THE PORT is a grass-roots event, and is the culmination of ideas brought forth by representatives of the following organizations: The Greater Portsmouth Chamber of Commerce; Downtown Business Association; West End Business Association; State Street Business Association; Deer Street Merchants Association; Tenants Association at Pease; and Seacoast Local. This is the answer to the trivia question that appeared in the October 12, 2017 edition of The PortsmouthLOVE Letter. You can subscribe to this weekly email here.